Join us for the 8th Annual MARL Human Rights Film Festival! Film is a powerful tool that can help spark public education, build collective understanding of inequity and discrimination, and create community dialogue about human rights issues locally and globally. 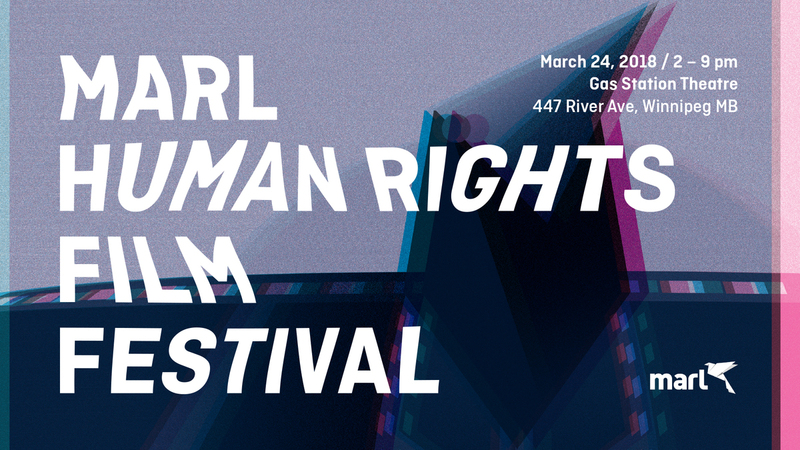 This year's MARL Human Rights Film Festival will connect the films we're watching to local resources and groups that are taking action for equity and justice. Entry to the festival is by donation, though no one will be turned away due to lack of funds. No advance tickets will be sold, so please arrive in time to ensure your seat. Come for the whole day, or come for just one session - it's up to you! More info on this session! The Gas Station Arts Centre is wheelchair accessible and is located on the first floor. There are two gendered washrooms in the building.